Delicious experience aside, one of the reasons brunch is so beloved is its undeniable photogenic quality. 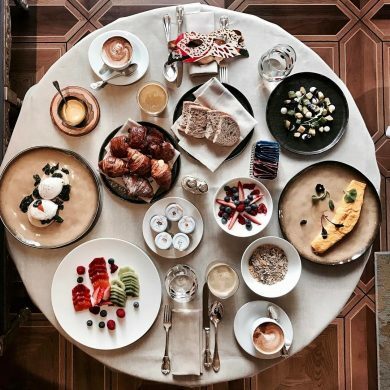 Herein, no-filter-needed hotel brunch options to start your day off right and spice up your Instagram feed. 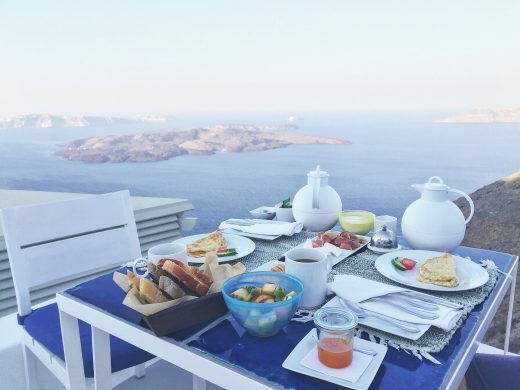 Served fresh everyday based on what’s available at the local market that morning, the ever-changing brunch at the Iconic Santorini calls for daily documentation. 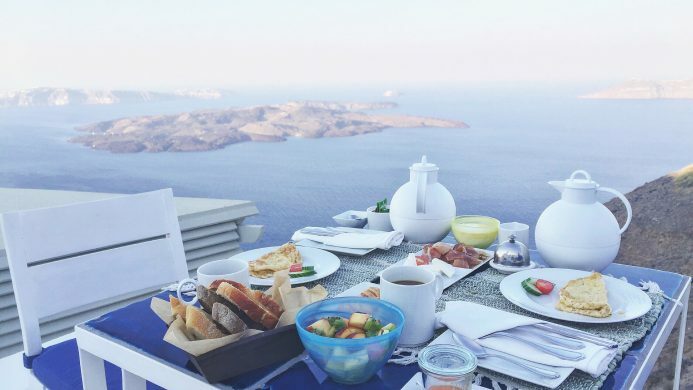 With a no menu vibe and breathtaking views of the Aegean Sea, this authentic cave retreat confirms why Santorini is an Instagrammer favorite. 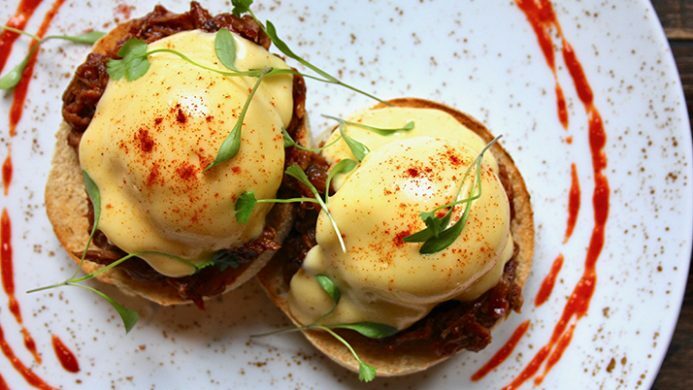 Embodying the quirky yet traditional culture of East London, the Eastway restaurant at Andaz London Liverpool Street serves up brunch classics with a Shoreditch twist. 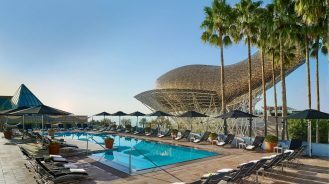 To add to the hip factor, guests can add on bottomless mimosas and Bloody Marys (a Brit favorite) to round out that perfect Insta-worthy shot. It’s almost impossible to take a terrible photo at the Renaissance-inspired Palazzo Venart Luxury Hotel Venice. 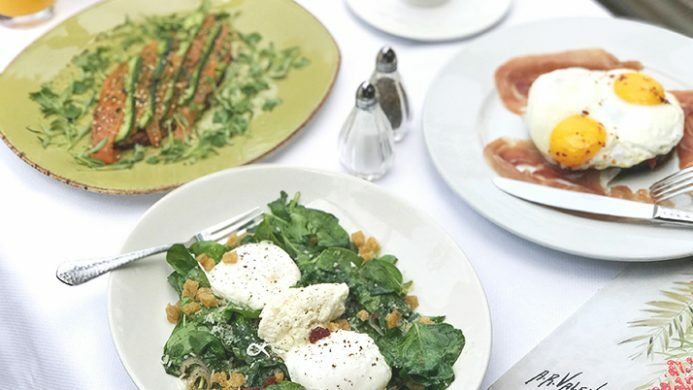 The private courtyard with magnolia trees shields the Venetian sun and creates an urban oasis with perfect lighting, while Michelin-grade plating transforms a simple fruit salad and omelette into a work of art. 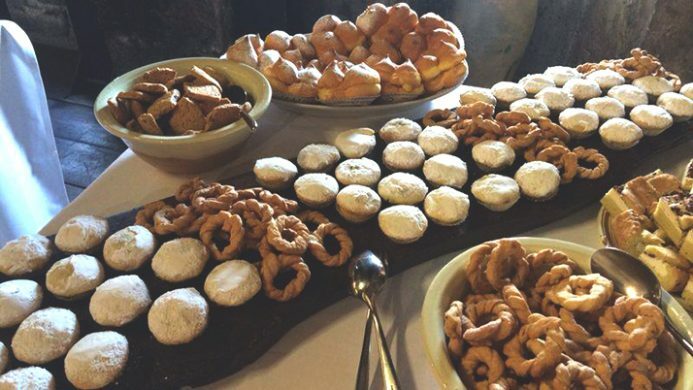 Served in an authentic cave church, Sextantio Le Grotte Della Civita offers the Southern Italian brunch of your dreams with piles of freshly-made pastries and Matera bread along with cheeses and salumi – all sourced from local organic farms or nearby artisans. The hardest part will be trying to fit the full spread into your flat lay. Occupying the top floors of a mighty skyscraper in Kowloon, The Ritz-Carlton Hong Kong offers plenty of photo shoot-worthy views of the city skyline. 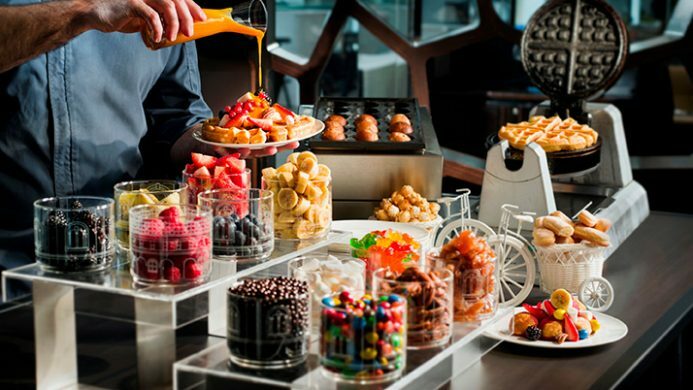 However, if you’re looking to inject color and whimsy into your feed, look no further than their restaurant Ozone’s newly revitalized Sunday brunch. Free-flowing Dom Pérignon gets the creative juices flowing while extensive topping choices ensure your waffles are bursting with flavor and vibrant hues. 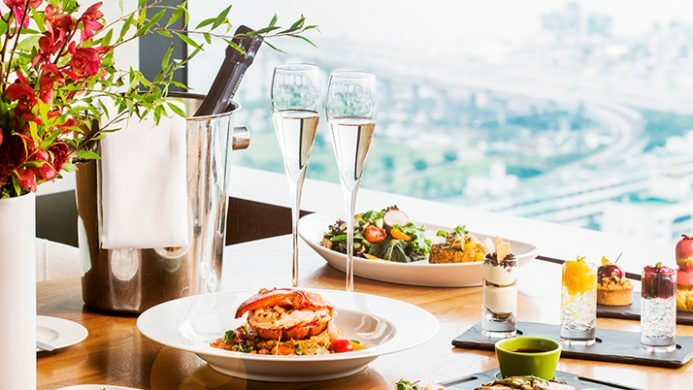 City and river vistas make for the most beautiful natural lighting and the perfect backdrop for documenting your meal at the gorgeous Conrad Seoul. 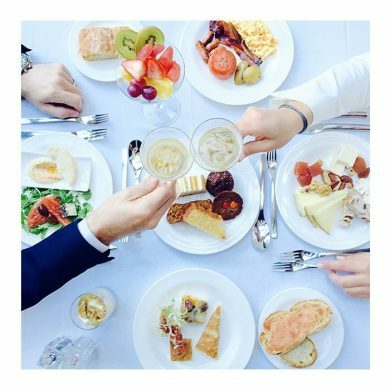 While champagne brunches are somewhat ubiquitous at this point, unlimited bubbly and main course inclusions always make for an impressive meal, and photo op. Overlooking the verdant Torrey Pines Golf Course, The Lodge at Torrey Pines’ signature restaurant A.R Valentien highlights regional Southern Californian cuisine in a truly stunning setting. Take a shot of your expertly prepared eggs and smoked salmon before digging in – no filter needed. 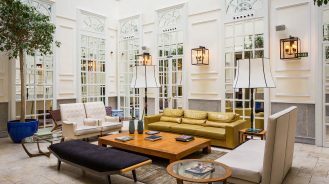 The Majestic Hotel Barcelona has all the brunch faves in spades. Spice up your Insta feed with some video content of their show-cooking space where guests can Boomerang or video their meal being created on the spot. While the Stories upload, sip on some Moët.